Resene Total Colour System - Now that's colourful thinking! When it comes to colour, paint is all about fashion. Colours come and go with changing trends. Flexibility in colours, colour tools and colour scheme development is paramount. The Resene Total Colour System offers this flexibility through a wide range of colour services, from colour tools such as colour charts and drawdowns through to special colour matches and complete colour scheme development by specialised staff to help with the colour decision making process. Sophisticated tinting technology enables Resene to produce durable colour options that remain true to colour long after they have been applied. Interlinked systems for decorative and high performance coatings allow you to achieve the same spectrum of colours in a wide variety of products. Because we continually evolve the Resene Total Colour System, it can be difficult to keep abreast of the repertoire of colours and colour tools available to you. This brief insight into the Resene Total Colour System demonstrates how quickly colours and colour specifying is changing, embracing new virtual painting technologies and an increasing range of sampling options. How to decipher the Resene Total Colour System codes. 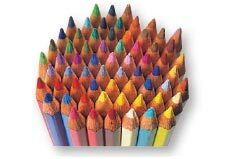 Thousands of colours showcased on a wide variety of colour charts. From The Range collections of the latest fashion colours through to the special effects finishes of the Resene Metallics and special effects chart, there is something to suit all projects and all tastes. 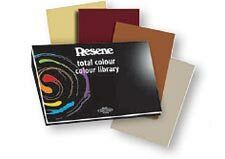 Colour charts are available from Resene ColorShops, resellers or can be ordered online from the Resene website. Direct order service for A4 screenprinted colour samples to aid your critical evaluation of colours and for client presentations. Order drawdowns online for delivery direct to you. Folders of Resene drawdowns are also available for viewing at Resene ColorShops and resellers. For those who need to see more of a colour, Resene has Resene BigColour swatches, A2 screenprinted swatches of Resene colours. Try out your colour without having to lift a paintbrush. A Resene Testpatch is just like a Resene Testpot, except the painting is done for you. Peel off the back of the Resene Testpatch, attach it to the area you plan to paint and view it at different times of the day and night to check your colour concept works under different lighting. Then peel it off and attach it onto other parts of the painting project. 10cm x 6cm adhesive colour chips screenprinted in Resene colours are available for direct adhesion to your sample board or specification. Available for ordering on the Resene website or through Resene ColorShops and resellers. Small 60ml pot samples of individual colours – a handy way to confirm your colour choices. 80ml testpots are also available for the Resene Waterborne Woodsman and Resene Colorwood wood stain colours. Available from Resene ColorShops, resellers or order online. A comprehensive set of Faber Castell Pencils supplied complete with an extensive list of formulations enabling you to match Resene colours using different pencil combinations. The Colour Match system can be purchased through Resene ColorShops, representatives or online from the Resene website. Formulation lists are updated following the launch of new colour ranges and can be downloaded using the link from the online Resene colour library. See how colours look in home and room settings – simply place A4 colour samples from our in store colour library or drawdown service behind the Resene Colour View picture of your choice. The paint colour shows through the clear areas of the picture so you can see how that paint colour would look in that room or area. Try out Resene Colour View at your local Resene ColorShop and selected resellers. Need to match an existing colour, fabric or swatch and you’re not sure which Resene colour might be closest? Or perhaps you have a colour sample and you’re happy to take a similar Resene colour, but you’re not sure which colour to choose? The Resene ColourHelper has been designed to provide you with some quick suggestions. Simply take the Resene ColourHelper, push it down to ‘read’ the target colour and it will let you know three Resene colours closest to the colour you have measured. It can also suggest complementary colour options, tell you the difference between two colours so you can see how similar, or different, they are and suggest other colour options. Available for use at Resene ColorShops and resellers. See Resene ColourHelper for more information. For those who prefer to create their own electronic renders using architectural software, Resene colours are available in electronic paint colours files for AutoCAD, BIM ArchiCAD, BIM Revit, Photoshop, Vectorworks, SketchUp files, Spirit, Softplan, preloaded into selected architectural software files or you can download jpeg image files or RGB values from the Resene website. Explore a world of colour online with the Resene online colour library and online wallpaper library. Search for your favourites using a wide variety of search options, then download or print if desired. View reflectance values, tone information and complementary colours. Or if you have a colour in mind and wish to find the nearest Resene colour options, try out Resene Find-A-Colour, click on a colour and the closest Resene colour options will be displayed for you. Or enter the RGB, hex or CMYK of the colour you wish to find to see similar Resene colours. ‘See’ the finish before the painting has even started with Resene virtual painting. Using Resene RenderRite, our computerised rendering service, we can develop a colour scheme using a photograph of the current building and show you what the building will look like after your colour scheme has been applied. Or do the virtual painting yourself using pre-selected images from our image gallery or your own images with Resene’s virtual painting tool, free from EzyPaint. Or try the Resene ColourVision virtual reality experience. Move from room to room and redecorate the walls and ceiling, and stain the floor with your favourite colours from the Resene colour range. It’s an easy way to experiment with paint colours and see what a difference colour can make. Choose, click, colour match! Resene ColourMatch online makes it easy for you to match colours you see to Resene colours. This colour-matching tool allows you to select a picture, from a web page or from your own uploaded image and it will match your chosen colour in the image to a similar Resene paint colour. Use the extra search options under your colour match to search for other colours or view recommended complementary colours. Ideal for use from your desktop or phone. Turn your images into Resene colour palettes quickly and easily with the online Resene Colour Palette Generator. The Resene Colour Palette Generator will create a Resene colour palette based on the most common colours that occur in the image and tell you what proportion (%) of the palette they are to help give you an idea of the colour balance. Once done you can click on the colours for more information, download swatches and save, email or share your colour palette. 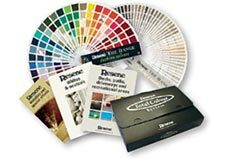 Resene can match special colours using the Resene Total Colour System. Our Colour Laboratories use the latest technology to match colours to your specifications, making this the ideal way to ensure that the colour you get is the colour you want. Even with all this choice of colour and colour tools, sometimes you still need assistance. Resene can provide colour assistance to help you develop your customised colours and colour schemes. Samples of a range of Resene products from decorative topcoats to specialist steel coatings can be viewed in our Architectural Sample Box and Resene Woodsman sample boxes – ‘hands on’ resources to supplement our product manuals. Contact your Resene representative to view. The Resene Total Colour Awards programme celebrates and encourages excellent and creative use of colour, across a variety of project types including commercial, residential, sustainable and landscape. See online or your Resene ColorShop, reseller or representative for more information. Dark colours outside soak in the sun’s rays placing significant relentless stress on the coating and the substrate. The Resene CoolColour™ range formulated with special pigment technology reflects more of the sun’s energy, reducing heat build up and stress in the substrate and coating keeping your projects cooler. The colours work by reflecting energy in the near and far infra-red region of the spectrum even though they absorb strongly in the visible region. A Resene CoolColour looks like a standard colour but surface heat will build up slower and to a significantly lower level than a ‘not so cool’ traditional colour. Available in a wide range of exterior paints, stains and colours. And to enable specifiers to get their favourite Resene colours without creating an unnecessary environmental burden, Resene has pioneered Resene tinters with no added VOCs, exclusively made by Resene for use in Resene products, enabling a full spectrum of colours to be achieved without adding unwanted VOCs (volatile organic compounds). 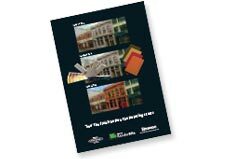 Resene proactively prints colour collateral on sustainable paper stocks. 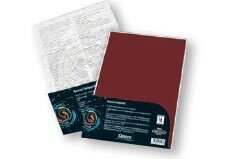 Resene colour charts are finished in Environmental Choice approved Resene SpaceCote Low Sheen, Resene Enamacryl Metallic and Resene Non-Skid Deck & Path, while the remainder are finished in waterborne inks. Not only do the Resene paints give a truer representation of the actual colour, but they also reduce solvent emissions compared to traditional solventborne lacquers usually used for direct deposit colour charts. The Resene Total Colour System offers you all the colours, colour tools and services you need to develop the right colour scheme for your next project. The key is to select those tools that best complement your work and make these a part of your specification process. Contact your local Resene ColorShop, reseller or representative for more information on any elements of this system. › Download this page as a PDF.